RiskWise Property Research CEO, Doron Peleg, says the research house has received a number of enquiries about Central Queensland as an investment alternative to the major east coast hubs of Sydney and Melbourne. “Central Queensland is attracting a new wave of attention because many investors believe this property market has hit rock bottom and that the only way is up,” says Peleg. However, he adds that the economy of Central Queensland has been in decline “at an alarming rate” since the end of the mining boom. “This is followed by negative capital growth of, on average, (-17.5 percent) for houses and (-18.7 percent) for units in the past five years,” he says. 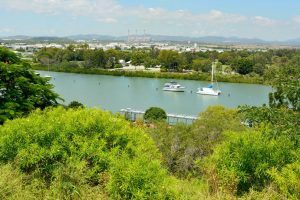 “Some areas, such as Gladstone/Biloela experienced even more severe price reductions, with (-28.7 percent) negative growth for houses and (-39.9 percent) for units in the past five years, including -7.3 percent and -10.4 percent in the past 12 months, for houses and units, respectively.